I absolutely love our new Serene Scenery DSP. It is so versatile and has so many images to use as backgrounds. 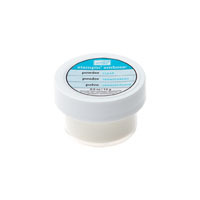 So I decided to base a class around using this product. I didn’t want to make just a card for this project. I really wanted to make something for my house too. We started class creating this card. It’s my CASE of the little bag in the catty on page 102. I also wanted it to tie in with my other project – so I added the starfish from Picture Perfect too! It’s sooooooo pretty and makes me want to go straight to the beach! 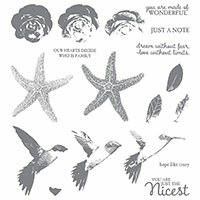 I stamped some gorgeous grunge on the sand background, and then added an extra piece of crumb cake card stock with an image from the timeless textures stamp set that I clear embossed, to give a texture of sand. By tearing the edge of the card and sponging it with crumb cake ink, it adds extra dimension to the page. By using a 3D box it allowed me to add some extra shells (I found a bottle of various shells in spotlight) which I glued using tombow, directly to the frame itself. I added a couple of pearls and a sprinkle of our gold glitter to the rest of the scene and it was completed! I love the look and now have a pretty piece that inspires me at home! 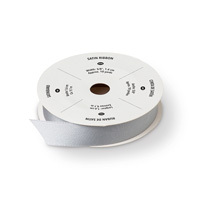 Cut card base from thick white card stock at 4 1/8″ on short side. Fold in half. 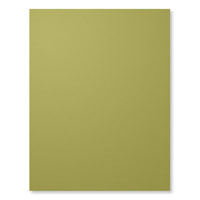 Cut woodgrain DSP 5 5/8 x 3 7/8″and adhere to front of card. 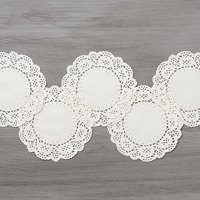 Cut a delicate white doily in 1/2. Cut co-ordinating piece of DSP 2 3/4 x 4″. Mark at 1 1/4″ on left hand short side. Cut on an angle from top right corner down to 1 1/4″ mark as shown. Adhere to base of card, securing the doily behind the top of this piece. Trim a piece of silver satin ribbon and adhere where the two pieces of DSP meet. Cut a piece of old olive card 2 3/4 x 1″. trim points on each end and adhere to silver ribbon. Stamp sentiment from Scenic Sayings in old olive and hand trim. Adhere using dimensionals. 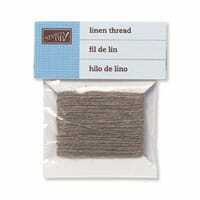 Tie a bow with linen thread and adhere to bottom of sentiment with a glue dot. Stamp a starfish from Picture Perfect – the base layer in Sahara Sand and the second layer with Crumb Cake. Sprinkle with clear embossing powder and heat. Fussy cut starfish and adhere to card using dimensionals. 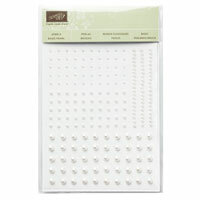 Adhere 3 pearls to card base as in picture. One of my lovely team members alerted me to this weeks Global Design Project Challenge. It has been a while since I have participated in a GDP, but when she let me know what it was, I had to have a go! I created a soft background using the timeless textures stamp set, and stamped off my images before stamping onto the whisper white. I then adhered the rose by making sure that all the pieces were cut through properly, I placed a dot or two of tombow on the back of each petal piece and placed the thinlet directly onto the card, before gently rubbing each individual petal to attach it to the card. By gently lifting off the thinlet, all the petal pieces remained in position. Easy!!! And very effective if I do say so myself! 😉 I also applied clear wink of stella over the rose petals, but its a bit hard to tell in the pic! If you are in a bit of a slump, or even if you’re not – I really encourage you to participate in a few challenges to kickstart your engine! You can see all the GDP entries here. Sliding stars meets swirly birds and cupcakes! I needed to make a couple of quick cards yesterday for birthdays that I had coming up this week. I was time poor, so I needed them to be fairly quick, but still a bit of fun. That’s when it came to me….my dad likes boats – so why not have a boat bobbing along the ocean with the help of the Sliding Star framelit dies! So that’s exactly what I did! It’s so fun to watch that little boat swirl and spin across the card. I popped a watercolour wash on a base of shimmery White cardstock, before using the Shooting Star framelit. I then stamped and fussy cut the boat. You need to raise the card front up on dimensionals to allow the spinner room to work and move. You make the spinner by using 2 x 5c pieces or washers stuck together with a dimensional, and tuck the bottom 5c piece under the card front and the other 5c piece over the top. It’s a very simple card , but super quick to make and could easily be jazzed up a bit. I did use a wink of Stella on the icing though and flicked the gold wink of Stella around for a bit of extra pizazz! I can see me getting so much use out of these sets for a long time to come! Hope you have been getting your craft on! I get excited every time I get to pull the No Bones About It set off the shelf to use. This time I was aiming for something a little different. I was creating a first birthday card for my nephew. Now first birthdays are pretty special…I mean…its when parents get to celebrate that they survived the first year – no mean feat I can tell you as a mum of 4!!!!! But it’s pretty special for the little person too. I mean – you never develop quite as much in your years as you do those first few. So a first birthday card has to be special right!!!! Not only that, but I wanted to create something bright and funky for the CASEing the Catty Monthly Challenge this month! The catalogue is full of inspiration to help us create, CASE or be inspired and the birthday section never disappoints. The projects that have really caught my eye this year are the fabulous bright colours of the Birthday Fiesta suite and the shaker cards! So I set about to creating a bright, fun card that my nephew will still love in years to come….and who grows out of shaker cards??? They are always a bit of fun! With our brilliant new foam adhesive strips – making them has become so much easier! Now I don’t yet have the Festive Birthday Designer Paper, so I had to use a recently retired paper (Cherry on Top) that was just as bright and colourful, and those birthday balloons fit the bill perfectly! I totally love the look of this overlay effect! It was such a fun card to make. By using two acetate sheets on either side of the square cut out, you can then stamp the solid image on the background piece inside the card, to get the effect I created here. 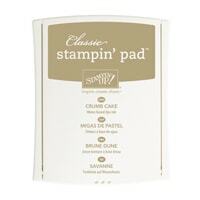 Just make sure you use stazon black ink for stamping on the acetate sheet in the front. The best bit was – his whole party was dinosaur themed and I had no idea!!!! So it suited the occasion just perfectly! June is also a fabulous month to Join the Fun with Stampin’ Up!. 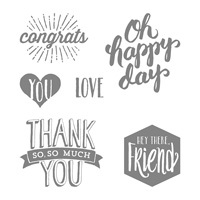 Not only do you get $235 of items of your choice for only $169 – right now you can also get an extra 2 stamp sets for FREE – thats up to $173 value extra depending on what sets you choose!!!! What are you waiting for???? Love You Lots New Catalogue! The spectacular new catalogue has arrived with all its goodness! I hope you have had a chance to take a good look at and absorb all its loveliness! I have to say the first thing I fell in love with in the new catty was the cuteness of one of the new hostess sets – Love you Lots! I have been having so much fun playing around with this set. The possibilities and combinations are endless, and our new In Colour’s just seem to match perfectly! To begin with I tried just simple and clean and let the cute critters do the talking for themselves. 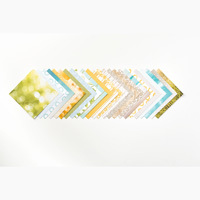 Teamed with another fabulous new set – Thoughtful Banners, making quick cards has never been easier! The whole cute bundle together! I softly water coloured each animal in it’s matching cardstock colour. You want to water colour lightly on whisper white as it doesn’t like a lot of water at all! How gorgeous are those new In Colours! And the names…..Peakaboo Peach, Flirty Flamingo, Dapper Denim, Emerald Envy and Sweet Sugarplum! Simple and stunning I think! How much do you LOVE this set. as an exclusive hostess set you can get your very own in two ways! Either host a workshop and with qualifying sales you can redeem your reward dollars for a set or spend $250 in one order and use your reward dollars to get your set! It’s that easy. Click on my Shop button to take you straight to my shop and have it shipped directly to you!